Sit Down & Be Quiet! Estate agents’ blogs are full of helpful tips for property sellers. De-cluttering, depersonalising, makeovers, staging, you name it, you’ll find it. But what if you’re not selling? What if you’re buying? I’d like to explain why I often suggest to prospective buyers that they should Sit Down & Be Quiet for a moment or two. Some years ago, I was showing a lady – a very wise lady, it turns out – around a top floor apartment in Carfax Court, which is a development specifically for the over-sixties. 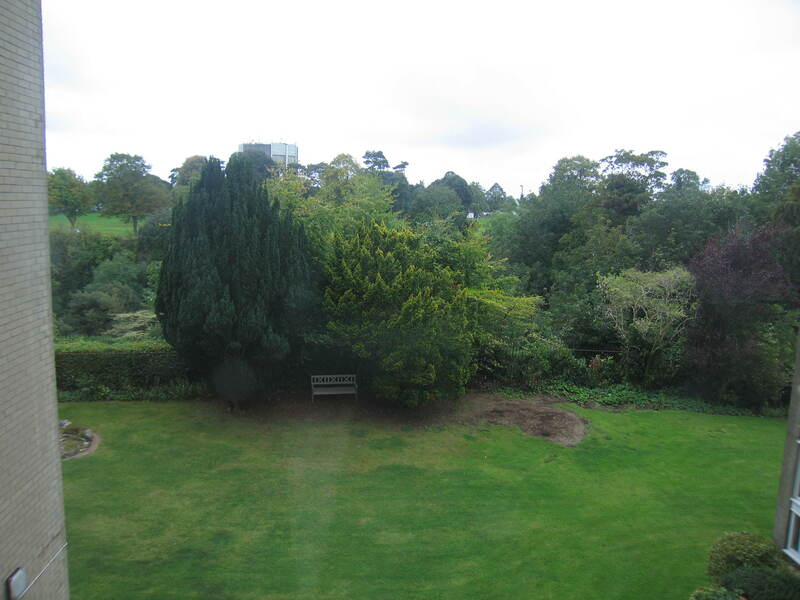 The highlight of this particular flat – or so I thought – was that it enjoyed views over the open space of Durdham Down, Bristol’s 400-acre public park. As we looked around the living room I gestured towards the window. “Look at that”, I said. “The views are truly stunning”. “Yes, Mr Haigh, they surely are”, she said. What do you mean “but”? I haven’t started telling you about the service charge yet. There can’t be a “but”. “…look at the height of the window sill”. I looked. A little high, admittedly, but then it’s an old house converted to its present use. What do you expect? “When I sit down”, as she said this, she took a seat, “I can’t see the Downs any more. All I can see is the sky. If I lived here I would sit down a lot. I don’t really want to spend my dotage looking at the sky. And I don’t want to spend my life on my feet to appreciate the view. This was an epiphany, as far as I was concerned. She was so right. When we’re out and about house-hunting, we walk around properties, in our shoes, dressed in overcoats, trying to listen to what the estate agent is (sorry, fellow professionals, but we are guilty of this) rabbiting on about. We’re not experiencing what it would actually be like to live there. How much time do you spend at home walking around? And how much time do you spend sitting down? On the sofa? At the dining table? In the conservatory? And when you’re sitting down, do you have a smartly dressed person, carrying a clipboard, standing near the doorway telling you that the floor has recently been re-varnished and the central heating system was upgraded in 2009? If you’re property hunting this weekend, do me a favour. At some point, ask the agent and the vendor (if they’re there) if you can have a couple of minutes to just sit and listen. What can you see? Does it look good? What can you hear? The sound of birdsong outside that quaint country cottage, or the thunder of trucks along the motorway you hadn’t realised was so close? You’ll find the feeling is a lot different to the one you get just by walking around. If you sit down and listen, and the place feels like home, then it’s very possibly the right place for you. If you sit down and feel uncomfortable then that may be a feeling that’ll be difficult to shift once you move in. A few months ago I tried an experiment, in another apartment. Again a top floor flat, but this time the viewer was a young chap. Quite a tall chap in fact. I noticed that when he looked out of the window, which was fairly low, he was naturally looking downwards at the roof of the garage block behind the building. Not a particularly inspiring view. He’d also shown some reservation towards the flat being on a main road, although of course I’d pointed out that the living room was at the back so relatively unaffected by road noise. “Do me a favour”, I said, “and take a seat a mo, I just want to try something out”. He dutifully sat down. I said nothing. He looked through the window. Then he said “oh, that’s nice”. I had no idea (still don’t if I’m honest) what he saw, but said nothing.